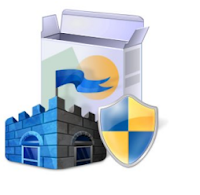 The Microsoft Security Essentials application provides real-time protection for your home PC that guards against viruses, spyware, and other malicious software. · Enhanced protection through automatic malware remediation: The Beta program will clean highly impacting malware infections automatically, with no required user interaction. · Enhanced performance: The Beta includes many performance improvements to make sure your PC performance isn’t compromised. · Simplified UI – Simplified UI makes Microsoft Security Essentials Beta easier to use. · New and improved protection engine: The updated engine offers enhanced detection with cleanup capabilities and better performance.